While it’s possible that you might find a suspiciously inexpensive “solution”, or cobble together something resembling a Client Portal, the prices below are very reasonable for properly developed, well supported and always updated software. We are here for the long haul, and your business deserves that. Updates FREE for 1 year ?Updates & Support are FREE for 1 year from your initial purchase. Then, after that 1 year FREE period, you will need to pay $20/year to continue receiving Updates & Support. This is optional of course, but if you decide to continue at the $20/year, this will be the only continuing cost to you. Only $20/yr Updates/Support ?Updates & Support are FREE for 1 year from your initial purchase. Then, after that 1 year FREE period, you will need to pay $20/year to continue receiving Updates & Support. This is optional of course, but if you decide to continue at the $20/year, this will be the only continuing cost to you. 100% Money Back Guarantee ?We know that you’ll be satisfied with WP-Client, but if for any reason, the product doesn’t fit your needs, we are happy to provide a full refund for WP-Client if your request falls within 15 days of your initial purchase. If you need additional time to evaluate the plugin, simply contact us to request an additional time window. One ‘Dev’ URL Permitted ?You are actually permitted 2 URLs under this License Level. This allows you to work with your site on a development URL and then move to a Live URL without any major hassles. You can login to your Control Panel and change the URLs that are approved at any time. BONUS Plugin: See below ?With the WP Master Admin plugin installed, you'll always feel safe when you need to give others Admin access to your WordPress installation. 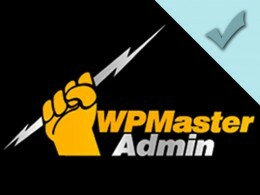 Fully compatible with WP-Client, WP Master Admin lets you... Share Admin. Keep Control. Eliminate Worry. Change URLs at any time ?You can login to your Control Panel and change the URLs that are approved at any time. Priority Support Channel ?You will have access to a Priority Support Form in your Control Panel. While all of our customers receive the best possible Customer Service, your requests are moved to the front of the queue. 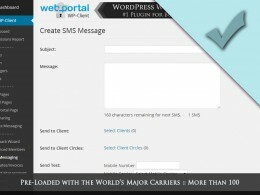 Includes SMS Extension ?Includes the Web Portal SMS Extension which gives you a very cost effective way to add SMS notification/alerts functionality to the power of your Portal. You can use the SMS Extension on all of your 25 URLs. SILVER Project Management ?Includes Silver License of the Project Management Extension. You can use the Project Management Extension on 1 out of your 25 URLs, have up to 20 Projects, Up to 15 Managers, Up to 25 Teammates, Unlimited Clients. For full details, see below. 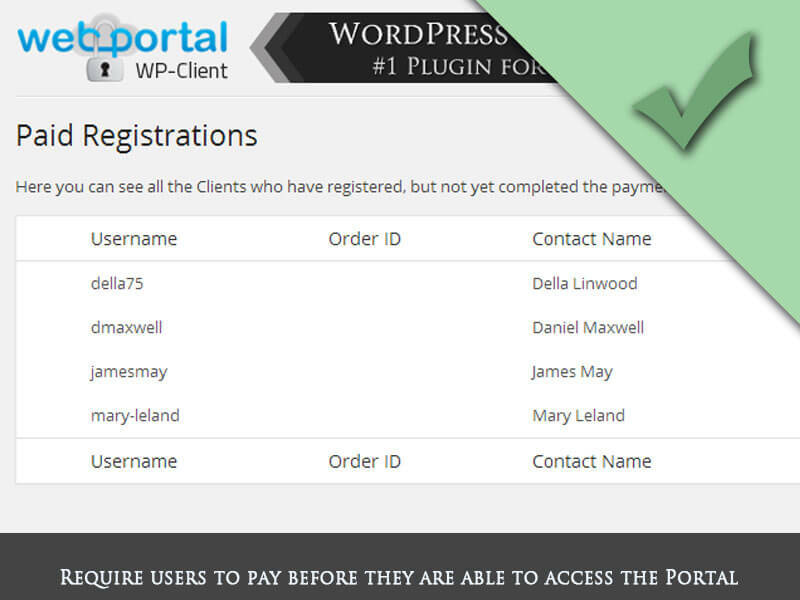 50 URLs :: HOVER for DetailsWhite Label gives you all the power of WP-Client. 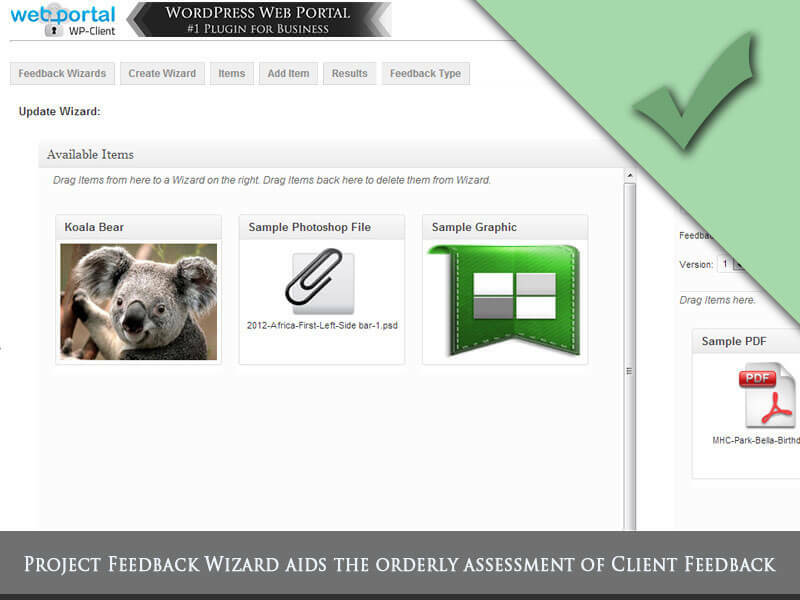 The standard version of WP-Client gives you the ability to completely customize the front-end interface that users will see. The White Label extension takes this one step further, and gives you the capability to customize the backend interface of the plugin also. 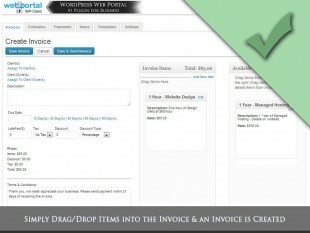 Change the name of the plugin, add your company's graphics, website, etc... Lets you brand the plugin like it was yours so that you can resell it as part of website development work. Plus, continue to receive updates & support for LIFE at only $20/yr. Includes White Label ?Includes the White Label Extension for FREE. 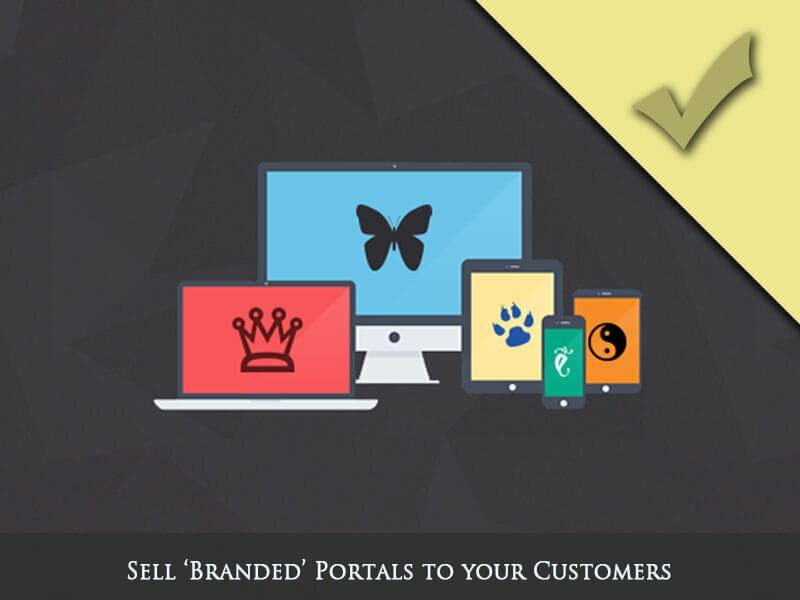 This gives you the power to brand the admin area of the plugin and include that branded Portal in work that you do for a client. 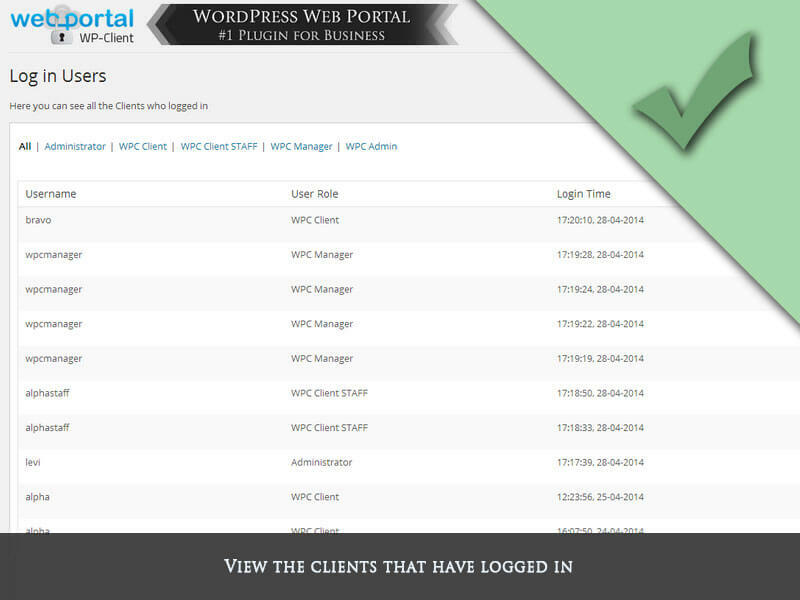 They'll never know that WP-Client is powering your branded Portal. 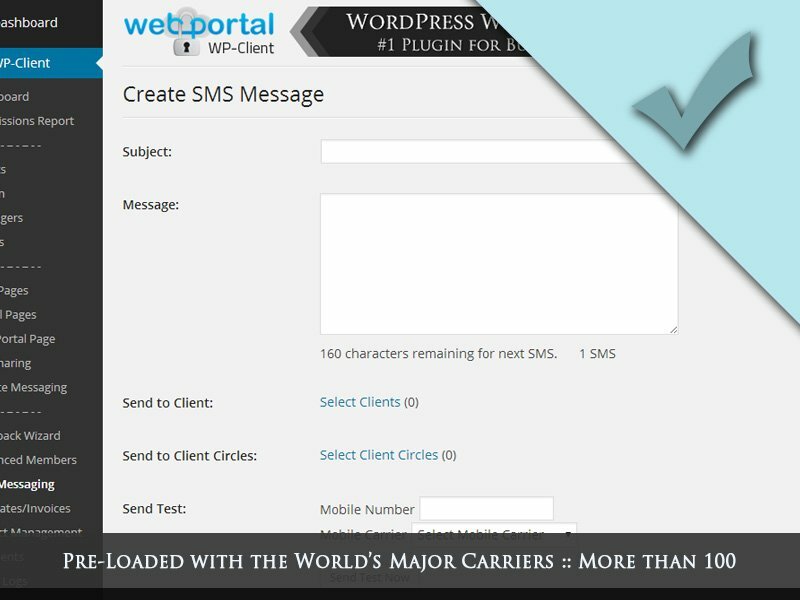 Includes SMS Extension ?Includes the Web Portal SMS Extension which gives you a very cost effective way to add SMS notification/alerts functionality to the power of your Portal. You can use the SMS Extension on all of your 50 URLs. GOLD Project Management ?Includes Gold License of the Project Management Extension. You can use the Project Management Extension on 1 out of your 50 URLs, have up to 50 Projects, Unlimited Managers, Unlimited Teammates, Unlimited Clients. For full details, see below. The prices above include almost every Extension that we make! Premium Extensions are additional because they typically represent another entire category of functionality outside of the already impressive set of tools & extensions included in the range of WP-Client Licenses. Project Management, for example, is just as powerful as any fully functional PM plugin, but the benefit is that it integrates seamlessly into your already existing Client Portal. So, instead of using multiple solutions to accomplish your business goals, you can use ONE Plugin™ to organize your business, both internally & externally. 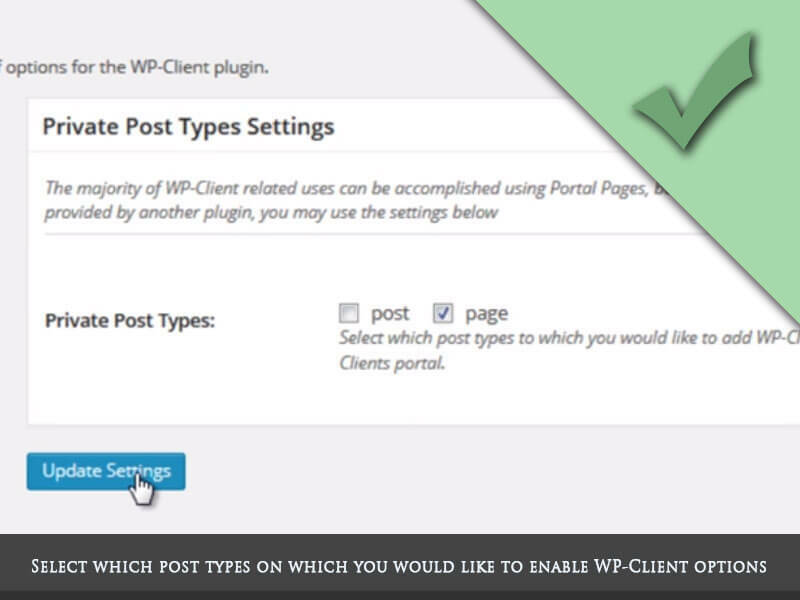 Click for Video Allows you to make any page, post or custom post type part of your Portal. You can easily assign permissions, restrict public viewing, and include links to these resources in your Client’s HUBs and Portal Pages. 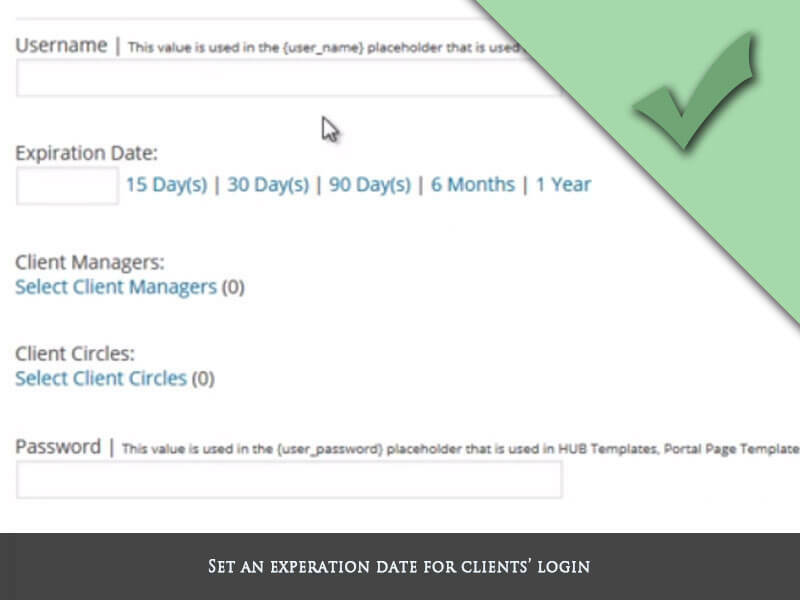 Click for Video Easily set an expiration date for each individual client after which that clients login will no longer allow access. Their credentials are still in place, but they receive a customizable error notification explaining that their login has expired. Designed to let you organize your work, coordinate easily with teams, track the time spent on specific tasks/projects/sectors, and integrate your clients into the process. 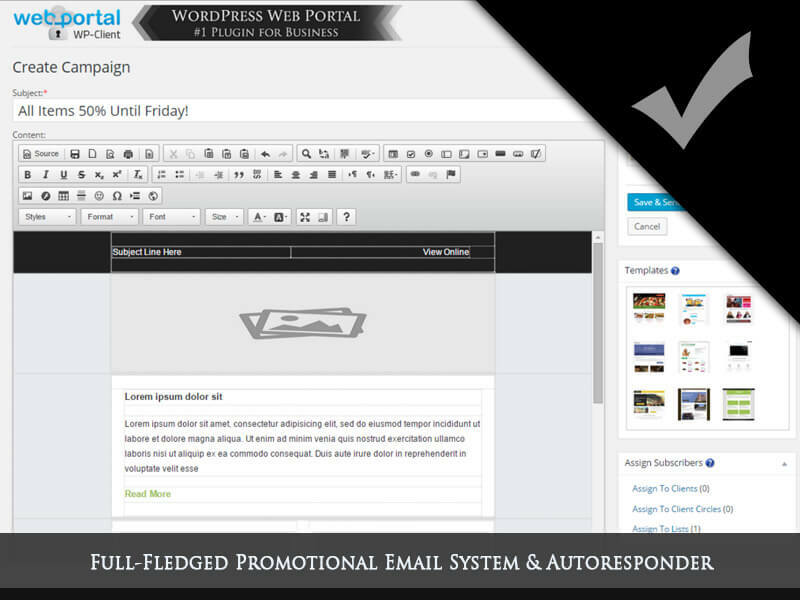 This Premium Extension extends your ability for both your Internal Staff and your External Users to stay in touch with the activity in your Portal. Now, you have a way for your admins, managers, teammates and clients to receive an instant alert to activity in the Portal, and as always in business, being aware and responding quickly can sometimes be the difference between good and great. 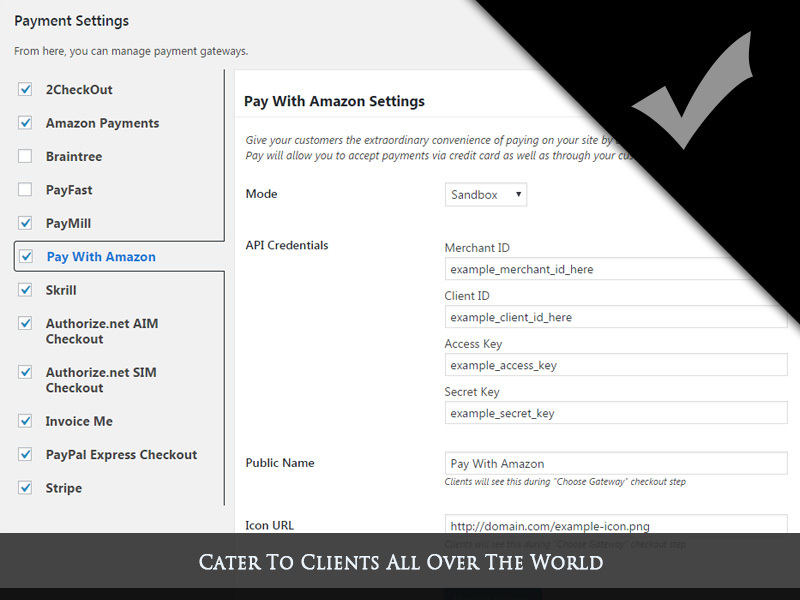 The standard version of WP-Client gives you the ability to completely customize the front-end interface that users will see. The White Label Extension takes this one step further, and gives you the capability to customize the backend interface of the plugin also. Change the name of the plugin, add your company’s graphics, website, etc… Lets you brand the plugin like it was yours so that you can resell it as part of website development work. With the White Label Extension, you won’t see any reference to WP-Client in your dashboard. You can use your own graphics, icons, etc… in the dashboard to give a familiar feel to your internal employees also. 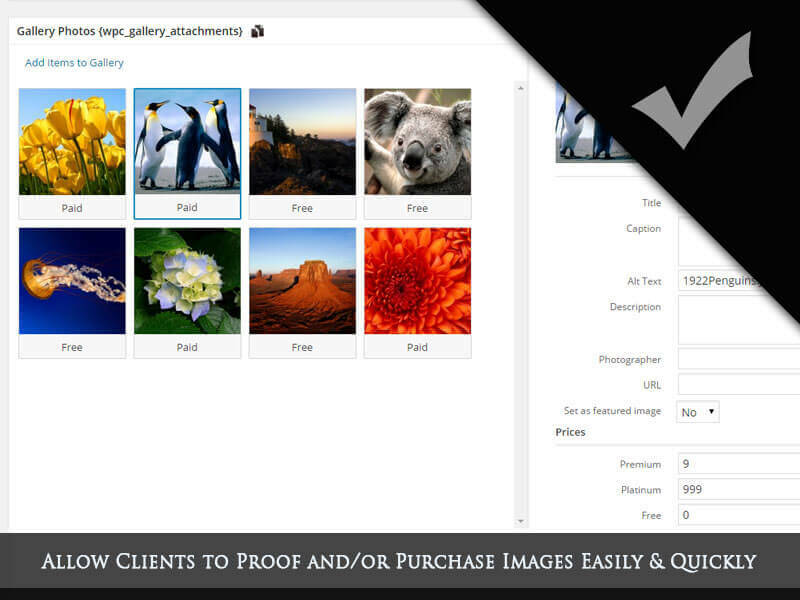 With the Shutter Extension for WP-Client, you will be able to upload images to a Gallery, and assign that Gallery to one, some, or all clients in your installation (or optionally make the Gallery public). Additionally, Shutter includes options for pricing, and watermarking, any or all images in your installation. Shutter integrates seamlessly with WP-Client, allowing you to install Shutter and beginning assigning Galleries to your already created clients, so you don’t miss a step along the way! Easily create, edit, manage, and send promotional emails, automated notifications, and much more, all from inside the plugin dashboard you’re already familiar with. Send out time-limited notifications of sales, automatically “drip-feed” content to new customers on a pre-set schedule, all using ONE Plugin. In addition, Newsletters lets you manage your email contact lists, in regards to both your existing plugin clients, as well as customers who may not be already registered within your portal. 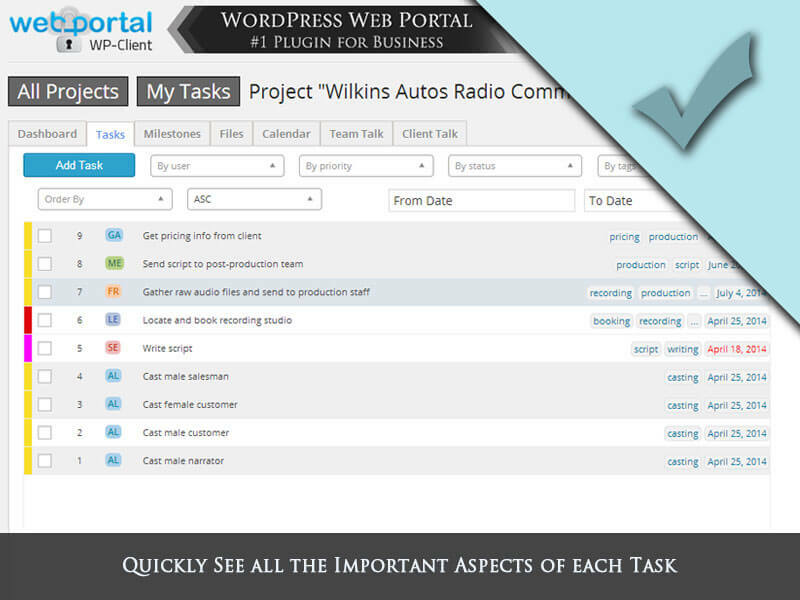 This premium Extension is a powerful tool that allows you to maintain a continuous line of communication with your clients regarding questions and issues, all from within the WP-Client dashboard to which you are already accustomed. 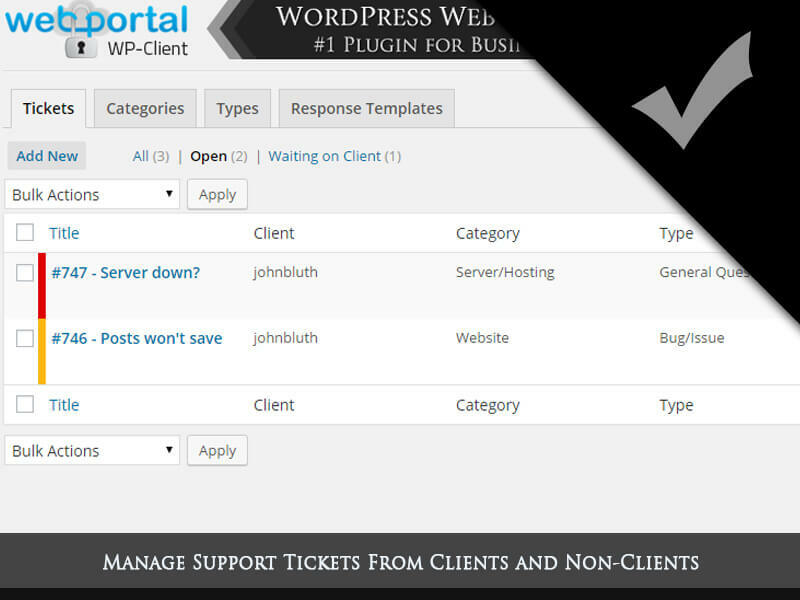 Our Team has years of experience with various helpdesk and support ticket systems under our belts, and we took that into account when developing our Support Ticket Extension for WP-Client. The end result is a ticket helpdesk Extension that has the most useful and powerful features, without any of the bloat present in a lot of other support ticket systems. 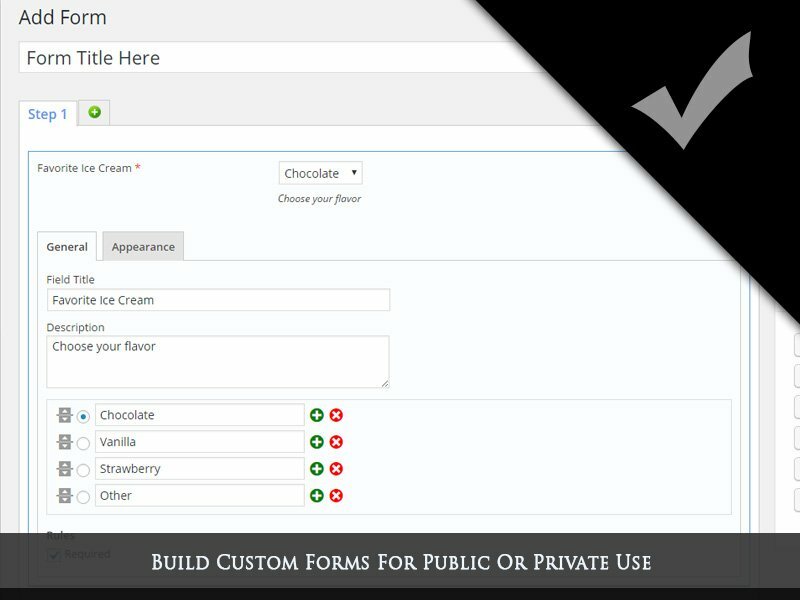 Easily create multiple forms for use in public or private pages in your site. Forms can be as simple as a single field, or as complex as multi-step forms with dozens of fields, or anywhere in between. Once the form is created (using the simple drag-n-drop visual builder), you can easily place it anywhere in your site using a simple shortcode. From there, corresponding clients can to submit answers, and you will be able to monitor all of their responses from the admin backend of the Form Builder Extension. 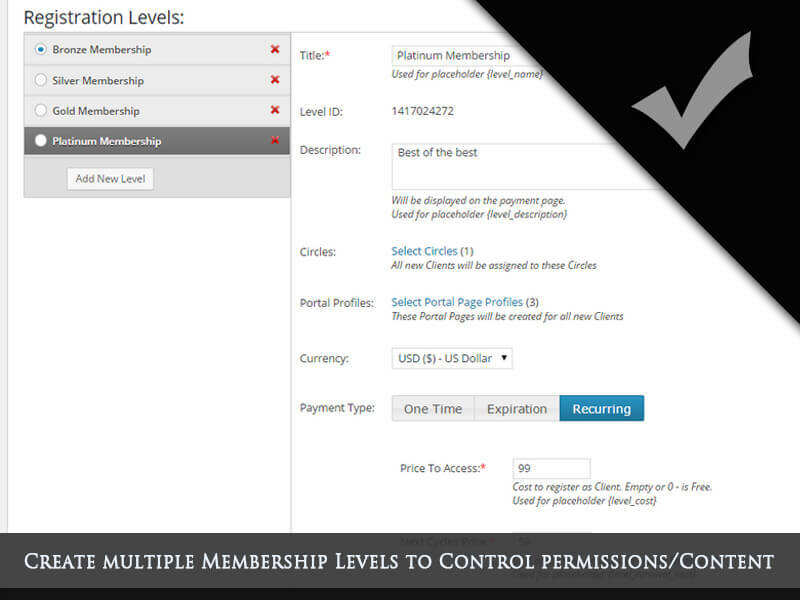 Sooner or later, you’ll need to allow others to access your WordPress site with admin level permissions. Programmers, graphic designers, SEO specialists or other administrators will need to access to your WordPress site, and now you can let them in without worrying about them installing malicious software, deleting your user, changing your password, or even just making stupid mistakes. Make yourself UNDELETABLE. Other Admins can’t delete you, change your role, change your password, or use any other strategy to take over control of the website. Protects you against inexperienced Admins making mistakes. Keep other Admins from installing/deleting themes and plugins. Share Admin. Keep Control. Eliminate Worry.